Who doesn't love a three-day weekend? For folks who are able to take advantage of days like Memorial Day to spend time with loved ones, hit the beaches, or otherwise relax on an extra day off work, this holiday is ideal. The best part? It falls right at the start of summer, when the weather is warm enough to spend time outside and right after you've (most likely) done your spring-cleaning, meaning the grill is on the deck and ready to go. Of course, Memorial Day, like any day of remembrance, is also bittersweet. It's a day to reflect and remember the service members who lost their lives in the line of duty. We think one of the best ways to remember those we've lost is to spend Memorial Day and the long weekend being grateful for the good things in life. These celebrities seem to agree with us on that front. Here are just a few of our faves who were out enjoying the holiday weekend. Sofía Vergara spent the long weekend with her husband, Joe Manganiello. 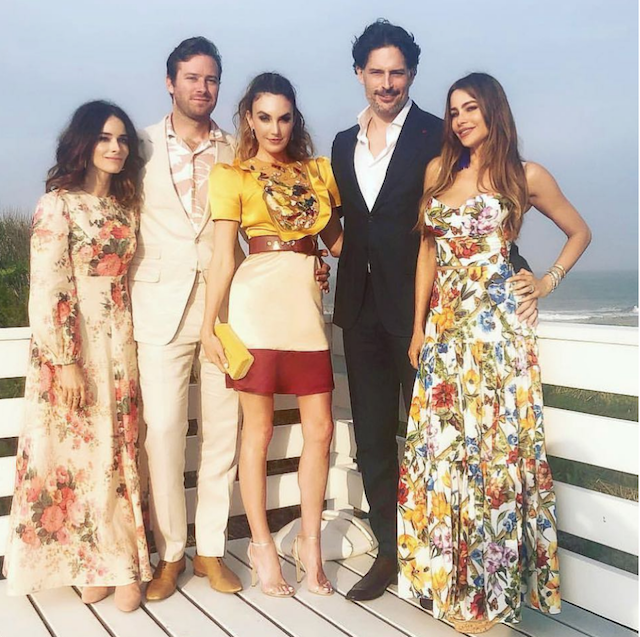 In a photo Vergara shared on Instagram, the couple stands alongside actor Abigail Spencer as well as Armie Hammer and his wife Elizabeth Chambers, apparently at the wedding of People magazine editorial director Jess Cagle. Johnson had a fitness-filled Memorial Day, choosing to honor our veterans by doing the Murph Challenge with John Krasinski. 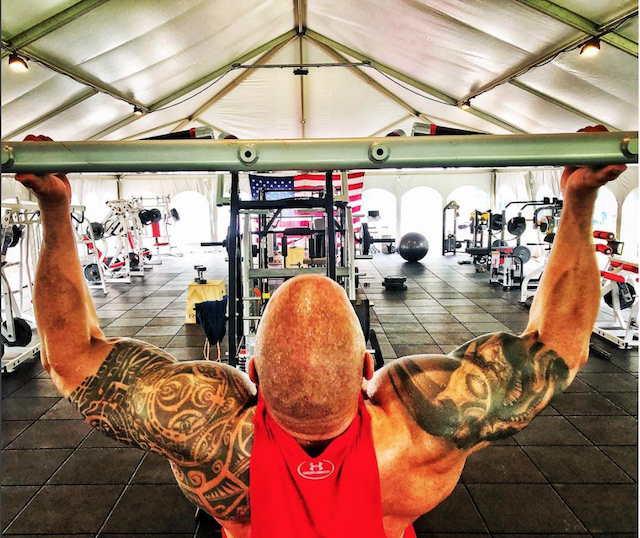 The pair posted some amusing videos encouraging their followers to participate in the challenge on Memorial Day, and Johnson later posted this photo to Instagram, writing, "The Murph was a beast of a workout today. Honored and humbled to pay respects to Lt. Mike Murphy and all of our brave fallen. Your service and sacrifice will never be forgotten." 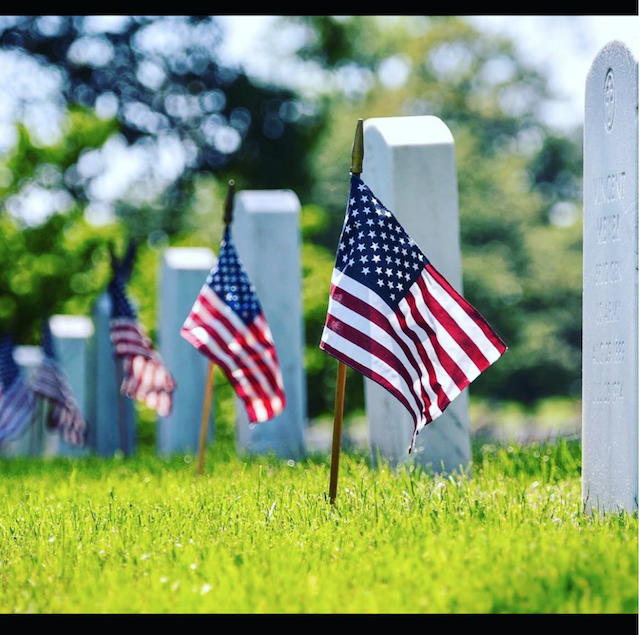 Kelly Ripa chose to keep it short and sweet on Memorial Day, posting to Instagram a photo of American flags planted at the gravesites of fallen soldiers. She also kept the caption short and respectful, simply writing, "#memorialday 2018. #fallenheroes." 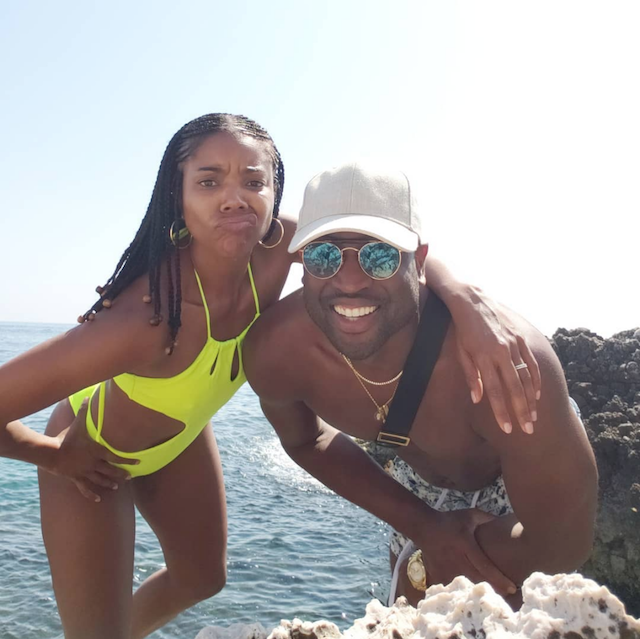 Gabrielle Union spent most of the weekend on the beaches of Saint-Jean-Cap-Ferrat, France, with her husband Dwyane Wade. The actor, author and activist shared multiple photos on Instagram over the weekend of their romantic getaway and topped it off with a photo of herself at the Monaco Grand Prix. On Instagram, LeAnn Rimes shared an intimate photo with husband Eddie Cibrian, apparently snapped on a beach in Malibu, California. On Memorial Day itself, she shared a video throwback to 2011 of herself singing the national anthem. Rimes wrote, "Sending out so much love and respect to those who have given the ultimate cost to protect our country, to our veterans, to those who are currently serving and the families of our soldiers. My heart is with you today and every day. It’s always an honor for me to sing our anthem to honor you all and our country." Like Union, Reese Witherspoon had her mind on the beach this weekend. On Instagram, she posted a photo of herself sitting in a beach chair with the caption, "#MemorialDay weekend plans: Find beach. Stay all weekend. Anyone else?!" complete with a hair flip emoji. We're definitely here for a beach weekend! 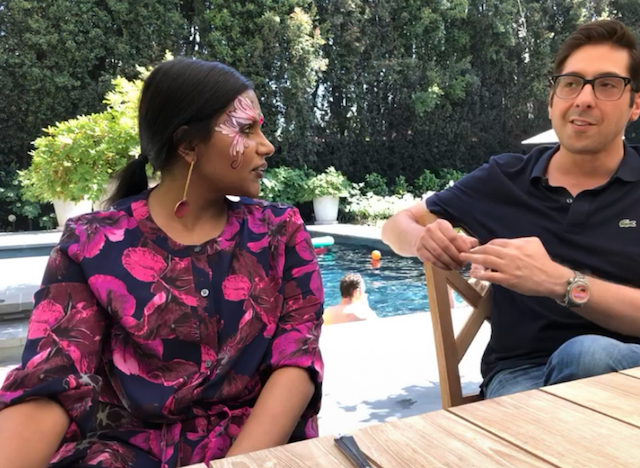 Kaling spent her Memorial Day with a truly delightful face painting situation that made her look like a fairy princess. She explained the situation on Instagram, writing, "Just an adult woman who got her face painted at a Memorial Day barbecue." No beach? No problem. Model Ashley Graham spent the weekend at a pool party that looked like a lot of fun from the pics she shared on Instagram. In one, she encouraged her followers to share their swimsuit photos with the tag "#DoItForTheGraham." Jessica Alba decided to take a trip over the long weekend. 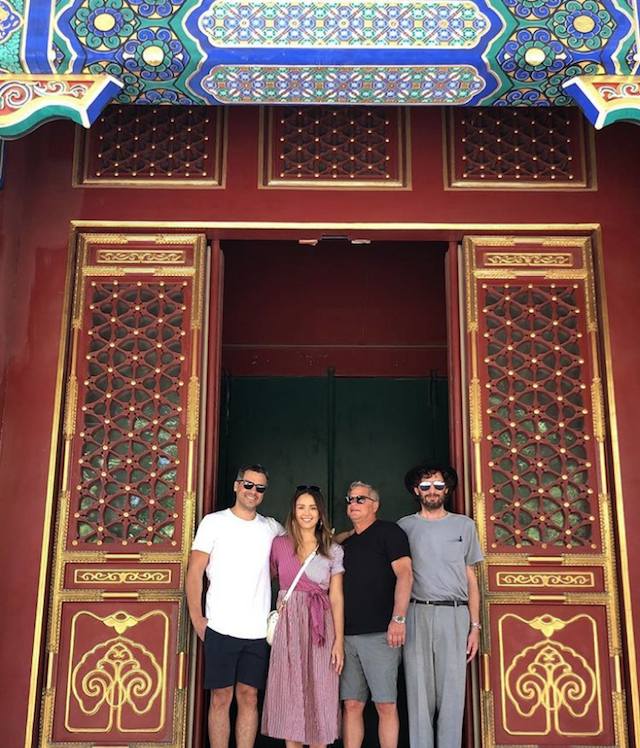 On Instagram, she shared a photo of herself and her husband, Cash Warren, touring Beijing. She also shared a cute Boomerang video of herself opening some beautifully painted doors. Salma Hayek used the weekend for travel, as well. 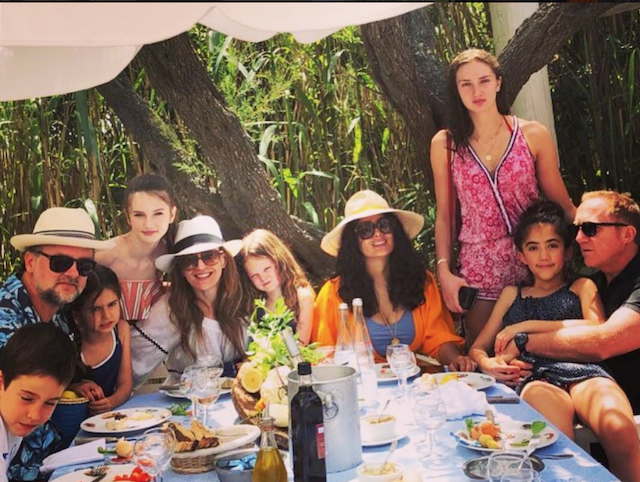 From photos posted to Instagram over the weekend, it seems she spent the holiday in France with family and friends. We're so into the low-key, natural vibe in these photos — we would love to spend a weekend in the trees! 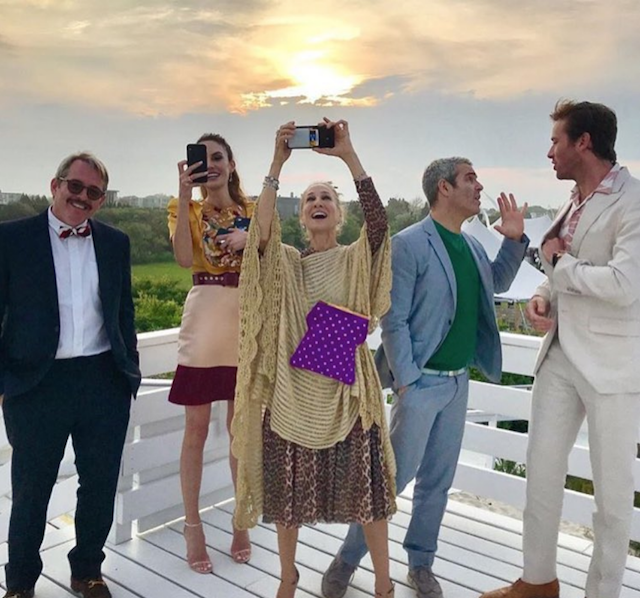 Sarah Jessica Parker's Memorial Day weekend was spent celebrating the wedding of People magazine's Jess Cagle alongside Andy Cohen and other celebs as well as remembering our veterans. In a photo Cohen shared on Instagram, Parker is all smiles as she holds up her cell phone to take a picture. She's wearing an incredibly colorful outfit and standing in a group with hubby Matthew Broderick, Armie Hammer and his wife, Elizabeth Chambers, and Cohen. 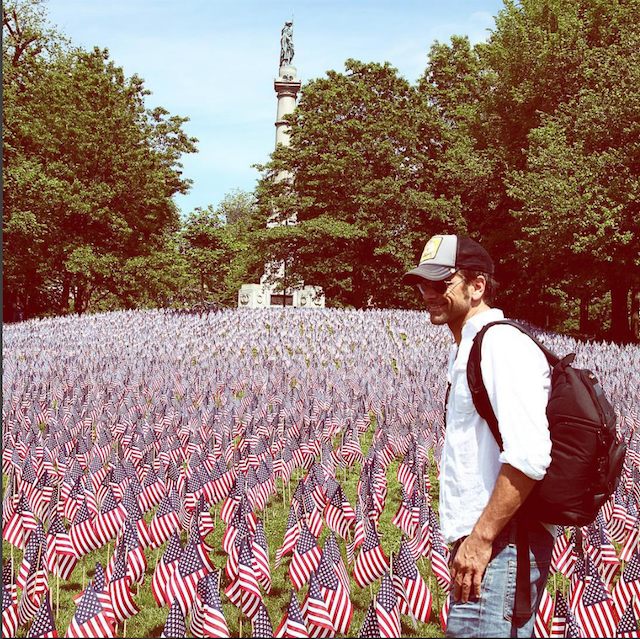 Stamos spent his Memorial Day paying tribute to veterans and fallen soldiers alike on Instagram with a sentimental post honoring them while also sending out a message of hope to his followers. "Our resilient USA will overcome racism, our efforts for true equality, and be eternally grateful to those who have sacrificed life itself for OUR American Dream! HUGE thank you to all of our active military members & military families as well!"